It's official...we're less than two months away from the 2015 McGladrey Classic, which will soon be renamed The RSM Classic! In addition to the tournament name change, we have many other exciting things planned at this year’s event at Sea Island. Join us for the charity putting event featuring PGA TOUR players on Wed., Nov. 18, tournament play begins on Thurs., Nov. 19, music superstar Martina McBride will perform on Sat., Nov. 21 at 7 p.m. ET at the McKinnon St. Simons Island airport, and so much more. You won’t want to miss it! If you plan to attend the tournament, check out the list of prohibited items that PGA TOUR has recently shared - just to make sure nothing slows you down when entering the gates. As summer winds down and fall starts to make an appearance around the country, golfers will need to change their strategy when it comes to playing in the wind. 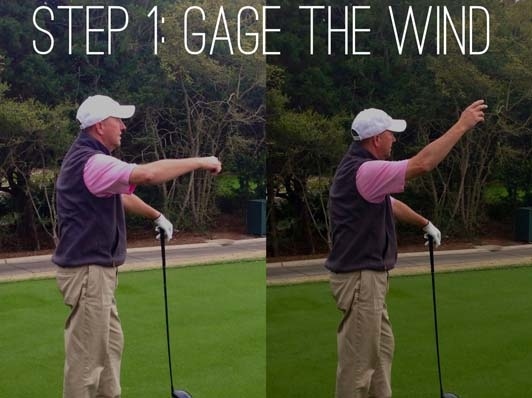 Mark Love, Executive Director of the Davis Love Foundation and brother of Team McGladrey member Davis Love III, shared some tips on overcoming the challenge and avoiding the three common mistakes. Check out his tips here. While these guys might not necessarily need Mark’s tips, it might be a great refresher for Team McGladrey member Zach Johnson and past McGladrey Classic champions Chris Kirk  and Robert Streb  as they gear up to play at the BMW Championship in Illinois. From tee No. 10, Zach starts at 11:42 a.m. CT; teeing off at 12:26 p.m. CT; and following not too far after is Robert at 12:48 p.m. CT from tee No. 1. Best of luck to everyone this weekend! We’ll be cheering you on from afar. Before wrapping this week's post, we'd like to congratulate Matt Kuchar, Zach and Chris Kirk on making The Presidents Cup team for 2015! The folks at McGladrey will be pulling for our Golden Isles golfers as they compete for the U.S. Oct. 8-11 in South Korea. Check back next week for the latest updates on Team McGladrey and The McGladrey Classic! Team McGladrey: Off the Course But On Their Game!